Emerging technologies can buy us time in the race against catastrophic climate change. When I became CEO of Verizon back in August, one of my commitments was to accelerate our company’s progress in Fourth Industrial Revolution (4IR) technologies, drawing upon our longstanding role as a world leading wireless-network provider. A big part of my motivation – needless to say – is to bolster that market leadership, and to position our company to thrive in an ever more competitive global tech sector. But that wasn’t my only reason for wanting to speed up the transition to 4IR. I’m originally from Sweden, and like several other high-latitude nations, it has experienced climate change in some quite pronounced and unsettling ways. This past summer, it suffered the biggest wildfires that anyone could recall seeing above the Arctic Circle – blazes so severe that the government had to call in European Union personnel and equipment from as far away as Italy. Perhaps it’s because of my roots in a land so beautiful and yet so vulnerable, but I’ve long had an interest in the potential link between technological advancement and environmental sustainability. I’ve had the great privilege of helping to lead the United Nations Sustainable Development Solutions Network, and have been involved in a similar initiative with the Broadband Commission (ITU). The more I’ve learned about the coming generation of high-speed, highly interactive technologies, the more convinced I’ve become that they could help the human race buy crucial time in the race against catastrophic worldwide climate change. The Internet of Things, 3D printing, 5G networks, and other 4IR innovations have the potential to significantly reduce carbon emissions and resource usage across industrial and agricultural production cycles – from manufacturing, to shipment, to packaging, to reuse. At the same time, by using 4IR technologies, it is the only way to provide what is needed for sustainable growth for each and everyone on the planet in an equitable way. Furthermore, 4IR networks, sensors, and autonomous devices can yield unprecedented levels of insight into how climate change is manifesting itself in locations around the world – and how we can most effectively mitigate its effects and adapt to its consequences. The bottom line: in the fight against man-made climate change, 4IR could make a meaningful difference – and it can’t come soon enough. As recent reports from the International Panel on Climate Change (IPCC) and the US government make clear, climate change and related environmental challenges are proceeding even faster than expected, with potentially grave consequences for humanity, natural habitats, and the global economy. What makes the challenge even more daunting is the fact that the world population (and therefore the demand for energy and natural resources) is poised to expand significantly over the remainder of this century, reaching 9.8 billion human beings by 2050 and 11.2 billion by 2100. 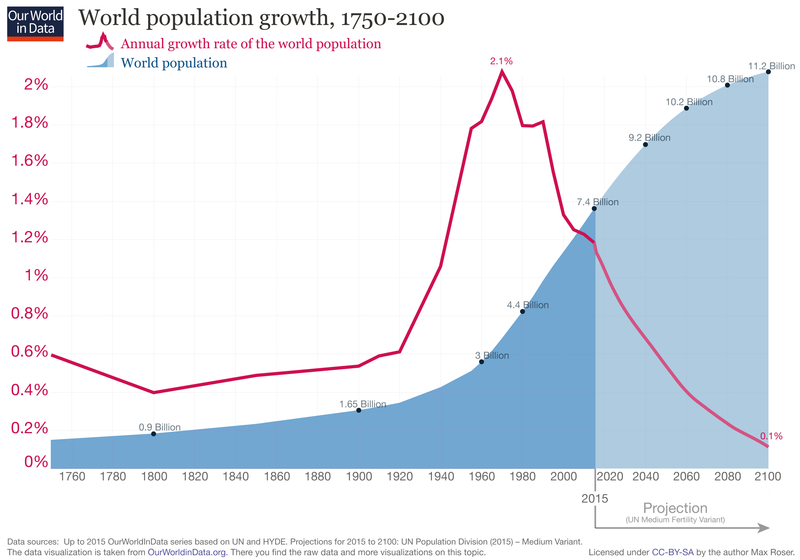 And by the way, the preponderance of that growth will occur in the regions where climate change is likely to have its harshest effects – including Sub-Saharan Africa, the Middle East, and South Asia. If we are to ensure a more sustainable and equitable future, we must take serious and concerted action. The exciting technologies of 4IR can by no means be considered a sole solution to a problem this massive and complex. In fact, those of us who are introducing these innovations into the world must do all we can to ensure that they don’t actually worsen the problems of resource overuse and carbon emissions. I think our sector is capable of this – and of much more. If we and our partners throughout industry, government, and academia can collaborate imaginatively on ways to maximize the sustainability benefits of these emergent technologies from the very start, the next few crucial decades could see cascading gains in momentum against both materials wastage and emissions. This raises a truly thrilling possibility: that the grave environmental harms set in motion by earlier industrial revolutions could be reversed – at least partially – by another industrial revolution, the first in history to set sustainability as an objective from its very outset.